Jon Snow is about to go from knowing nothing to knowing pretty much everything if Fox has its way. Variety discovered the shortlists for the upcoming Fantastic Four reboot, which include Kit Harington as Reed Richards, Saoirse Ronan as Sue Storm, and Chronicle's Michael B. Jordan as the Human Torch. 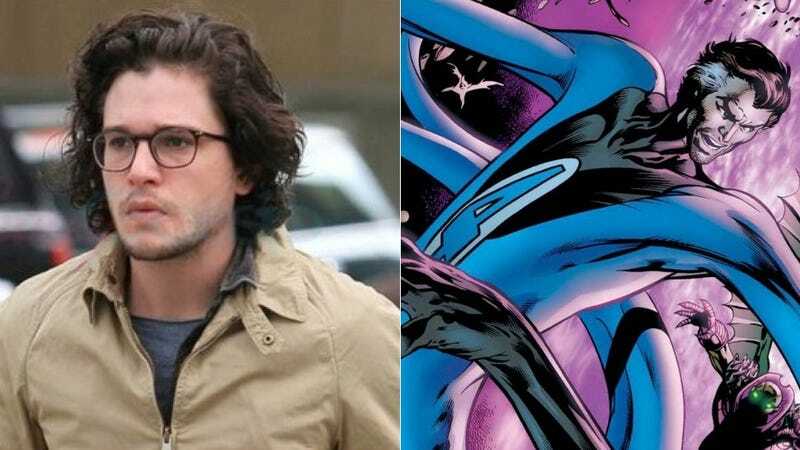 Sources tell Variety that Kit Harington, Jack O’Connell and Miles Teller are in line to get test offers to read for the role of Richards while Saoirse Ronan, Kate Mara and Margot Robbie (sources now saying Robbie will not be testing) are being tested for [Sue] Storm. Michael B. Jordan is the only actor currently being mentioned as a possibility to play Johnny Storm, aka the Human Torch, but that could change. I have no problem with Jordan as the Human Torch, although I am curious as to how the reboot will handle Sue and Johnny's mixed races. Maybe somebody was adopted?